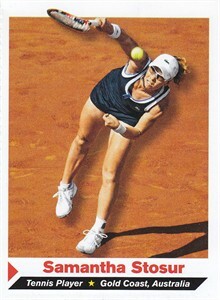 2011 Sports Illustrated for Kids Rookie Card of WTA Tour tennis superstar Samantha Stosur, the 2011 U.S. Open Champion. Off-centered with typical perforations. ONLY ONE AVAILABLE FOR SALE.